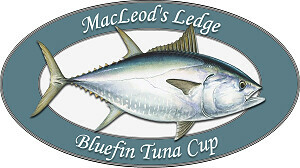 6 teams participate in the 2016 MacLeod’s Ledge Bluefin Tuna Cup. For the first time in the event’s history there was a 3-way tie between the defending champs, ‘ Tuna Wranglers’, with Captain Blair Matthews and first mate Earl Desroches and team members Dawn Runighan, Colin Runighan, Bobby Jenkins, Liam Runighan and Marcel Richard all from Eastern PEI and two first time teams ‘ Herring Chokers’ with Captain Jamie Gauthier first mate John Paul Doucette, team members Russel Gallant, Sheldon Gallant from Tignish, Jonathan Gallant Kelowna, BC, and Les Lyman, Hepworth Ontrario and ‘ Tight Lines’ with Captain Kenny McRae and first mate Blair Gaudet with team members Steve Papillon, Rae Nellis, Steve Brunelle, Keith Andrews, George McPhail, and Bill Moore all From Acton, Ontario. The winning measure was 108 inches. The Tuna Wranglers measured a second tuna at 108 inch to break the 3 way tie and were awarded the 2016 Championship. 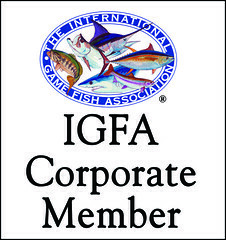 The Tuna Wranglers actually measured four fish in the tournament and captured the award for team with the Longest Accumulated Length in the tournament. Luck was certainly with this team as they also entered the winning guess of 85ft for the Total Accumulated Length of all Tuna measured in the tournament which was 91ft 2 in, their guess earned them $350. 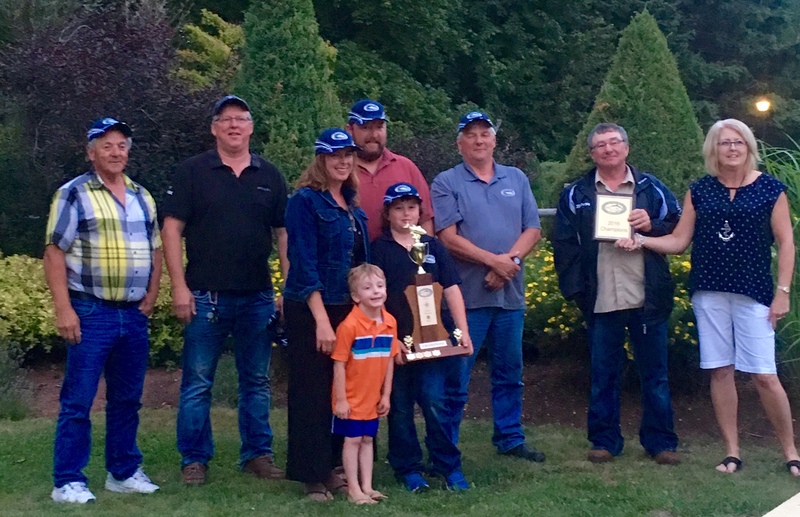 The Tuna Wranglers chose to split the $2000 Championship Winning plus their $350 Calcutta earnings which they donated back between the IWK and Children’s Wish Foundation. Each charity will receive a cheque for $1175. (from left to right): Tight Lines, Rae Nellis, Steve Brunelle, Keith Andrews, George McPhail, Bill Moore, Kenny McRae Captain, Blair Gaudet First Mate and Steve Papillon. Next Tuna Wranglers First Mate Earl DesRoches, Team member, Marcel Richard, Captain Blair Matthews holding plaque, Dawn Runighan, Bobby Jenkins, Liam Runighan, Colin Runighan holding trophy, and the Herring Chokers Sheldon Gallant, Captain Jamie Gauthier, First Mate John Paul Doucette, Jonathan Gallant, Less Lyman, Russel Gallant, Anne Arsenault. (left to right): First Mate Earl DesRoches, Marcel Richard, Dawn Runighan with son Seamus and Liam holding trophy, husband Colin Runighan behind, dad Bobby Jenkins, Captain Blair matthews, Anne Arsenault organizer.